On Tuesday afternoon, June 5th, everyone in the United States will have a chance to witness one of the rarest celestial phenomena known: a “transit of Venus." Such an event occurs when the planet Venus passes almost exactly between the Earth and the Sun, and they are incredibly rare. The United States Naval Observatory provides the following fascinating historical story about Venus transits. Since first predicted by the German mathematician and astronomer Johannes Kepler in the 17th century, only six transits of Venus have been observed. Weather permitting, this will be the seventh. Transits of Venus occur at regular intervals that repeat over a 243-year period. Intervals between successive transits are 8 years, 105.5 years, 8 years, and 120.5 years. 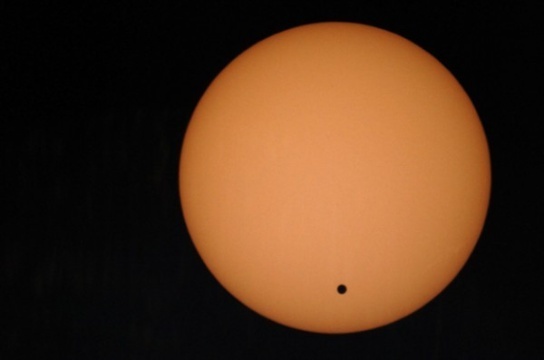 The next transit of Venus won’t occur until December 11, 2117, and it will not be visible from most of the U.S.